Advantek Lighting Solutions now carries Illumra Self-Powered Wireless Controls. No Wires! No Batteries! No Limits! Save Energy! Save Money! Save Time! Some homes and commercial buildings were built without adequate lighting. This has forced many to purchase lamps of all sizes to illuminate some rooms in their home. The most difficult thing about using a lamp instead of installing a light fixture is controlling the actual light. Fixtures typically have a light switch. Lamps must be turned on at the source (usually by a pull string or other type of switch). What if you want to control a lamp, or light requiring an outlet, with a light switch? 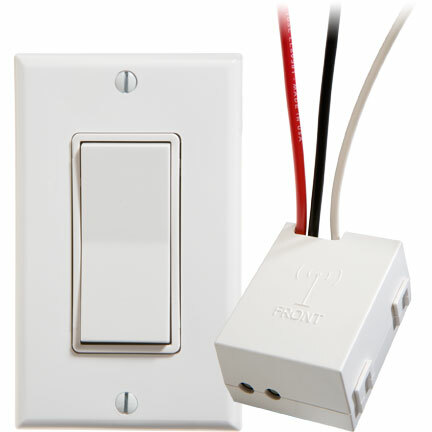 Using our self-powered wireless light switch in combination with our plug-in relay receiver, you can control a lamp or light with a light switch. Do you want to know what the best part is? You wont have to touch a single wire! The wireless light switch can be placed anywhere. The plug-in relay receiver is powered by a traditional electrical outlet. All you have to do is plug in the lamp to the receiver, assemble the light switch, and you’re done! Your light switch can now be turned on and off by a light switch. Watch how easy it is to install!